This block allows you to integrate the Yotpo Reviews service into your page. 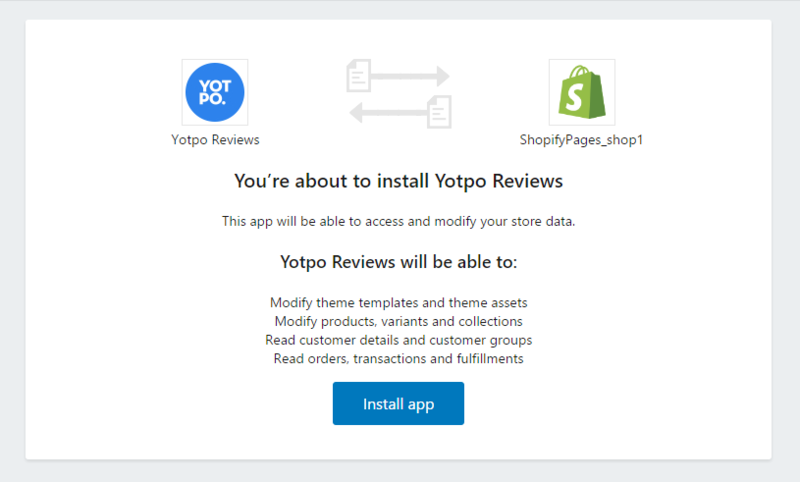 Visitors will be able to see reviews, rating, questions/answers about your product using the abilities of the Yotpo service. If you don't have a Yotpo account, then first thing you need to do is to create one by clicking here. Then it will take you through the installation process to install the app on your store. 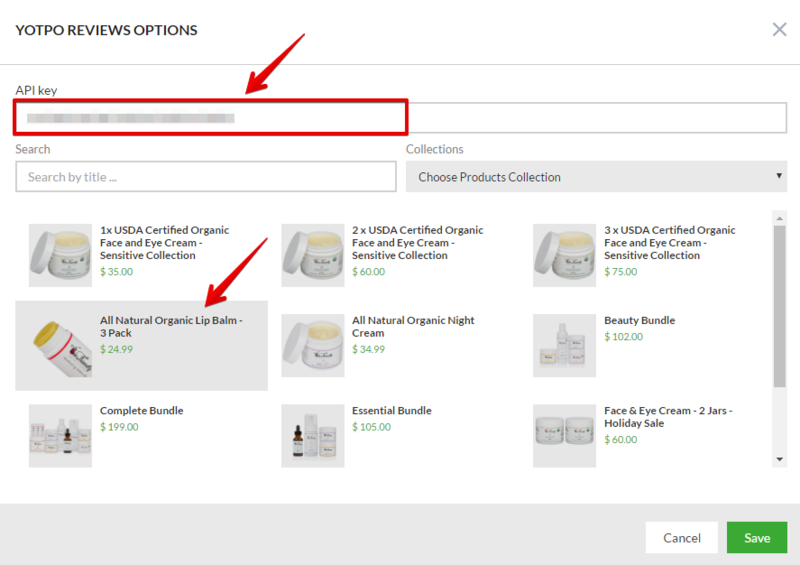 Select Shopify platform, enter store's name and click on "Install"button. Then you'll be redirected into store to confirm installation. Then you'll be taken to your Yotpo account where you need to specify your store's name and domain. Below that you'll find your API key which you'll need in order to add the Yotpo block to your ZP pages. This API key can always be viewed in Yotpo account at Account Settings -> Store. Enter/paste your API key from your Yotpo account into the API key field and choose your store product which you're creating this Yotpo section for. Note: You will not be able to publish the page until the correct API key is provided for the Yotpo block. Once a customer leaves a comment in the Yotpo block, it becomes available within the Yotpo Reviews admin account for moderation.